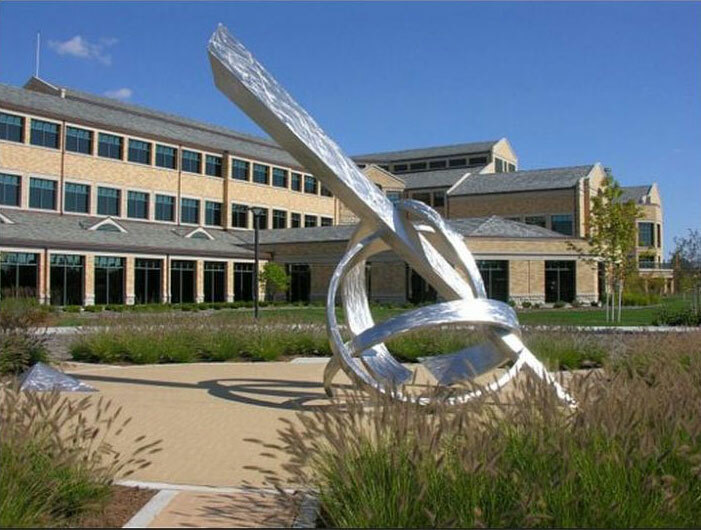 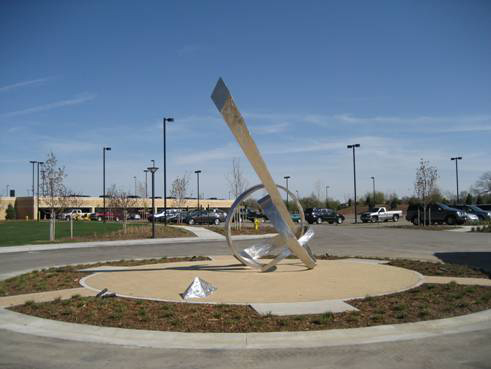 ﻿This sculpture titled “Standing the Test of Time” ©2008, a stainless steel sundial is 17’ H x 26’ W x 9’ D, the obelisk is 24’ long, the circular pieces are 8.5’ in diameter. 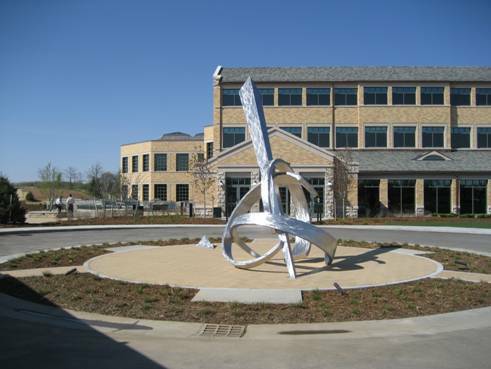 May 1, 1894 was the first contract ever signed with the company so the noon marker was set on May 1st, 2008 to commemorate the beginning of the company. 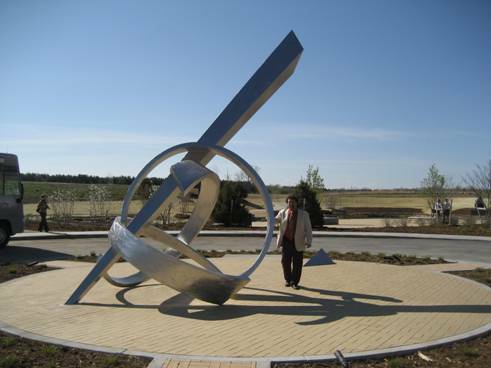  I’ve attached several images including one of myself standing next to the sculpture so you can get the idea of scale.